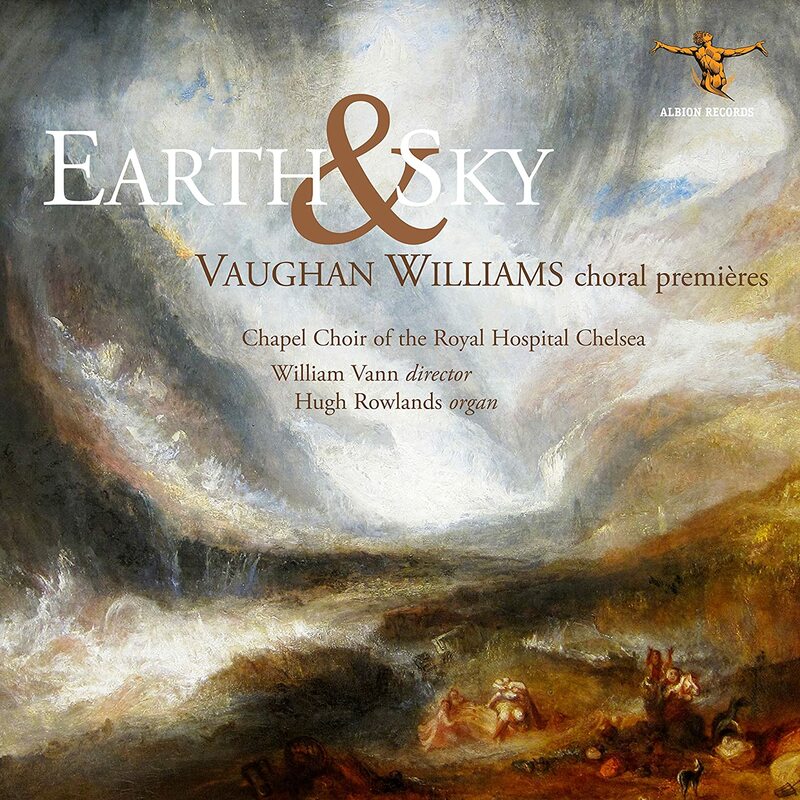 From Albion Records, which specializes in Vaughan Williams, Earth & Sky, a collection of choral songs by Ralph Vaughan Williams. Over the years, Albion has produced, in connection with the Vaughan Williams Trust, numerous collections of rarely heard works by Vaughan Williams, revealing the prodigious extent and variety in his music. Most of the pieces in this set are original works, but others are settings of traditional songs. This is your chance to hear RVW's 1921 take on Way Down on the Swanee River (Old Folks at home)! Vaughan Williams adapts Stephen Foster's original text, creating a setting for unaccompanied male voices which emphasises the harmonic flow of voices. Gone are the connotations of sentimentalized slavery, particularly in this performance, which rings with the very English diction of members of the Chapel Choir of the Royal Hospital Chelsea, directed by William Vann, who doubles as pianist. Also in this group of folk settings is The Jolly Ploughboy which Vaughan Williams collected in Sussex in 1904, and would in 1949 adapt further in the cantata Folk Songs of the Four Seasons. The choppy rhythms of The World It Went Well With Me Then (1934) and Tobacco's but an Indian Weed (1934) have a round-like character. The latter song was originally based loosely on a text from 1699 when smoking was a novelty. Vaughan Williams' setting develops harmonies which quiver, like rising smoke. "The vapour's gone, man's life is done : Think of this when you smoke tobacco". Not so much a health warning before its time (1934) but meditation on the transcience of life, and thus very much in the hymn tradition. Eight settings of Vaughan Williams' songs accompnaied by organ (Hugh Rowlands) demonstrate the composer's background as the editor of the English Hymnal and organist. Five of these songs, though not written as a unit, form a coherent group in this collection. A Hymn to Freedom (December 1939) is a unison song, while England my England (1941) is scored for baritone (Angus McPhee) and organ, the choir offering support and extra texture. The text is by W E Henley, whose poems George Butterworth set in Love Blows As the Wind Blows. Henley died in 1903, before the First World War and the aggressive jingoism that was popular at that time, which Vaughan Williams, a pacifist, did not share. The song "celebrates not Britain, nor yet its Empire but a heroic, altogether mythical England", as the booklet notes explain "Spouse-in-chief of the ancient sword". The Airman's Hymn (1942) was rejected by Westminster Abbey on the grounds that there were no similar settings for the Army or Navy, which is a pity, since the song for mixed voices is lyrical rather than militarist, evoking the freedom of the skies. "Old hearts are young again, young hearts keep high when we remember you, men of the sky". Similarly this arrangement of Land of Our Birth (1944) , employs the voices of children, giving the setting a youthful freshness. Three Vocal Valses from the Songs of the Wrens (1896) is very early Vaughan Williams, but is of interest because it shows where the composer was at at this time in his career. The Songs of the Wrens was a cycle of twelve poems by Alfred Lord Tennyson, set by Arthur Sullivan in an attempt to write an English equivalent of the song cycles of Schubert and Schumann. Though Vaughan Williams created the pieces for voice and piano, he specified SATB as opposed to solo voice, as if to distance them from Lieder. Though Schubert, Schumann and Brahms had also written part-song with piano accompaniment, Vaughan Williams' settings are closer to contemporary Victorian song than to European developments. Perhaps most charming and unusual are the Three Gaelic Songs (1954) for unaccompanied voices. 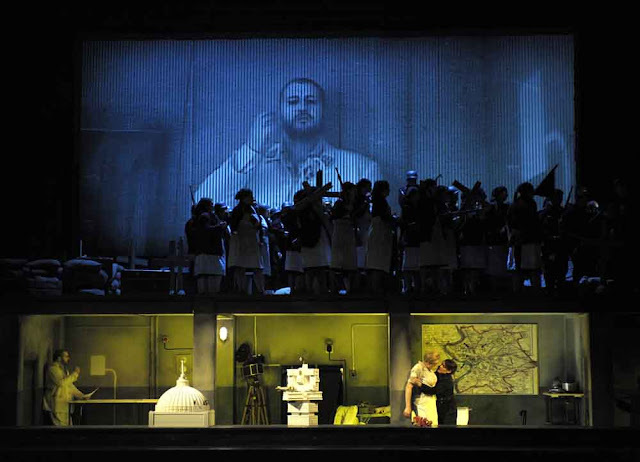 Running together at just over 5 minutes, they form a miniature song cycle with exotic, vaguely Gaelic harmonies, the women’s voices ascendent, the tenor doubling either bass or alto.